Street Outlaws: No Prep Kings is a new racing series coming soon. The series will have a special preview next month! Discovery Channel revealed more about this new series in a press release. Check that out below. “The nation’s most thrilling and dangerous races are speeding into Discovery’s Motor Wednesday lineup in the all-new series STREET OUTLAWS: NO PREP KINGS. Each week, Outlaws veteran “Chuck” will serve as race master in a new city and on a new “no prep” track, where 32 of the biggest names in no prep racing – including STREET OUTLAWS favorites, as well as newcomers – will duke it out to become the ultimate “no prep winner” and receive a $40,000 first place purse. With more than $320,000 up for grabs across eight episodes, the stakes are high and the risks are even higher, as local crowds flock to each race to see which all-star STREET OUTLAWS will show up, and who will win it all. A sneak peak of STREET OUTLAWS: NO PREP KINGS airs Tuesday, February 27 at 10pm ET/PT and all-new episodes continue on Wednesday, March 7 at 9pm ET/PT. STREET OUTLAWS: NO PREP KINGS summons all-star racers from all over the Outlaw family – including OKC’s Ryan Martin, Chuck Seitsinger, Doc, Dominator and Reaper, along with New Orleans’ Kye Kelley, Scott Taylor and Jerry Bird – and also features other no prep superstars, including Birdman, Swamp Thing and Megalodon. Each episode boasts a new matchup in a different U.S. city, where massive crowds gather to cheer on their favorite STREET OUTLAWS contender. The OKC crew will lay it all on the line and test their skills on these unfamiliar tracks – but can they protect their winning legacy? Viewers will also be able to catch all-new episodes, along with other seasons of STREET OUTLAWS, on the Discovery GO app – free with their paid TV subscription. 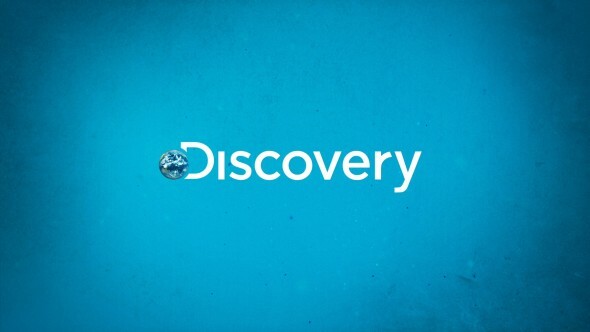 More about: Discovery Channel TV shows: canceled or renewed?, Street Outlaws, Street Outlaws: canceled or renewed?, Street Outlaws: No Prep Kings, Street Outlaws: No Prep Kings: canceled or renewed? I think they miss named the program, it should have been “Chucky Hates Ryan”. How is it that an employee is allowed to participate anyway? I refuse to watch no prep kings as long as the little hyper lunatic chuck is on it, that guy drives me nuts. ANYONE can do better than that loon. I’ve missed Chief; what happened that he is not the RaceMaster? What a bunch of crap. You see the trailers, haulers and equipment these guys have? It id like watching NHRA. These guys are born with silver spoons in order to have the stuff they do. lol cars were amazing great competition !! worth the price of admission all day !!!! I very much liked the first episode, looking forward to more. I am disappointed that you did not advertise the race tracks and dates so that I could go watch my favorite Street Outlaws in person. I’ll watch it but chuck is the wrong guy. He’s a camera hog. It’s been obvious from the start of street outlaws that he has wanted big chiefs spot. Keep bring in it, and I’ll keep watchin it! Love it. Some thing to look forward to each week on T.V. The no prep Kings sounds like a great idea but us fans who have watched from the beginning it’s getting confusing, we love big chief n Shawn n the gang, chiefs personality kinda Carrie’s it all so I’d like to see more racemaster even though he may not be winning at the time, chief we still like watching even if your not 1. Kye,s just lucky, lol. Big fan watched from the 1 St episode. 76 camaro baby!! !